Vinyl is a versatile material that can be used for many purposes. 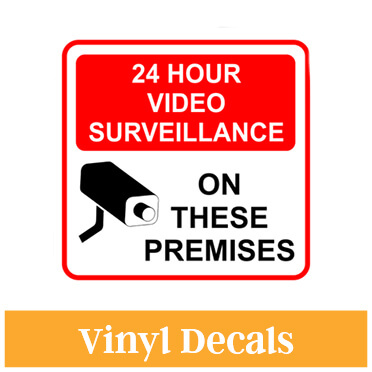 Here at CustomSigns.com we offer several types of vinyl signs including banners, poster signs with motivation messages, bumper stickers and decals. Our aluminum signs are customized with a vinyl overlay as well. Vinyl banners are created on our large format printer and can include any colors or text that you need. 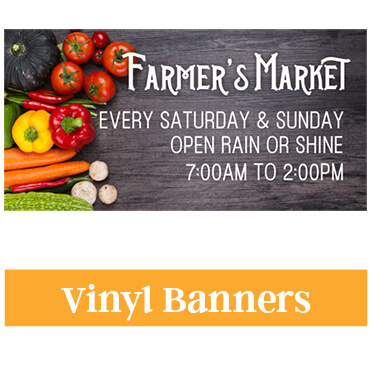 See our templates for store fronts, events, or just click to design your own banner. Not only do we have vinyl banners, we offer wall art that is printed on vinyl material and then mounted on the material of your choice. 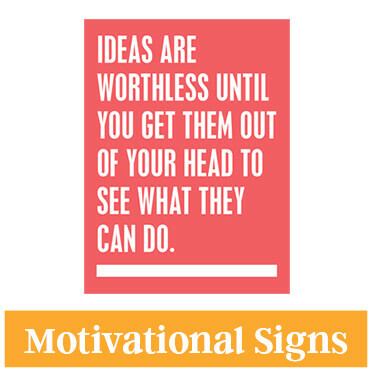 See our motivational signs for offices and schools. It is important to note that if you do not select a backing option, you will receive a sheet of vinyl that is sticky on one side. This can be framed if you choose, however we suggest ordering a backing. We offer corrugated plastic and PVC backings. 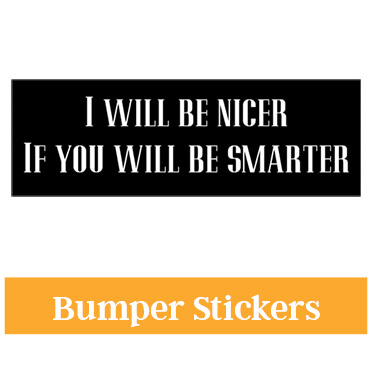 Also see our decals including templates like “no smoking” along with bumper stickers.